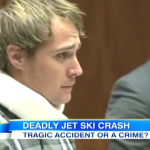 Dan appeared on Good Morning America yesterday to discuss the case of a girl killed by a Jet Ski. The victim, 16-year old Kristen Fonseca, was struck by a Jet Ski driven by 20-year old Australian tourist Tyson Dagley as her family watched in Hawaii. 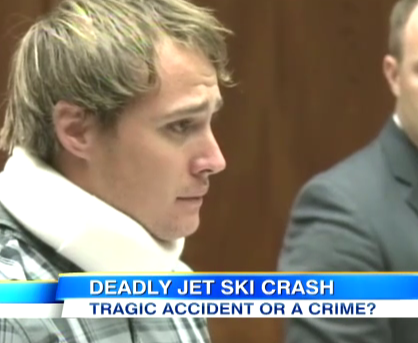 Dagley is already facing third-degree negligent homicide charged, and Kristen’s family is filing a civil suit against Dagley and the Jet Ski rental company. Dagley’s girlfriend has also been charged, as investigators say she video taped the incident and then deleted it to cover it up. Investigators say he was driving recklessly, not paying attention and showing off for his girlfriend, when he drove right into her, however his family claims it was nothing more than a tragic accident. So what takes it from an accident to a crime? “The authorities believe that there was negligence involved here, and that in the use of a vehicle, someone died. So those are the three key things: someone died, vehicle, negligence,” explains Dan. He is only currently charged with a misdemeanor, and faces up to one year in jail, though his bail is rather high. Watch the segment here.